The development of railway technology reached an early peak and then was found to be in question. During the past decade it has not only managed to rise again, but also be on the cutting edge of technology in many countries. The term 'rail transportation systems' includes all means of transport whose rolling systems involve at least one iron component (steel wheels on rails or rubber-tired wheels on steel guideway). Because of this, this guide examines only transport systems that have this particular characteristic in common. This guide presents a comprehensive overview of passenger and freight railway transport systems, from design through to construction and operation. It covers the range of railway passenger systems, from conventional and high-speed interurban systems through suburban, regional, urban and rail transport systems for steep gradients. Moreover, it thoroughly covers freight railway systems transporting conventional loads, heavy loads and dangerous goods. For each system it provides a definition, a brief overview of its evolution and examples of good practice, the main design, construction and operational characteristics, the preconditions for its selection and the steps required to verify the feasibility of its implementation. 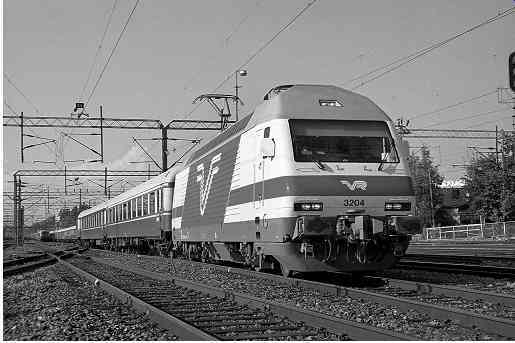 The guide provides a general overview of issues related to safety, interfaces with the environment, cutting-edge technologies and finally the techniques that govern the stability and guidance of railway vehicles on track. It incorporates our decades of involvement in teaching, research and experience in railway engineering. Until recently, knowledge of railway technology was shared only among railway organizations. Many of the organizations' executives changed job positions in order to broaden their vision and knowledge. In recent years, an increasing number of people have become involved in the field of rail transport worldwide (engineers, consultants, manufacturers, transport companies, etc.). This guide provides additional information for those interested in learning about rail transportation systems. It can be used as a decision-making tool for both designers and operators of railway systems. In addition, it attempts to educate young rail engineers to enable them to deal with rail issues that may be assigned to them during the course of their careers. All the data recorded and analyzed in this guide relate to the end of year 2015. The raw data were obtained per country, per city and per line, from various available sources and were cross-checked.